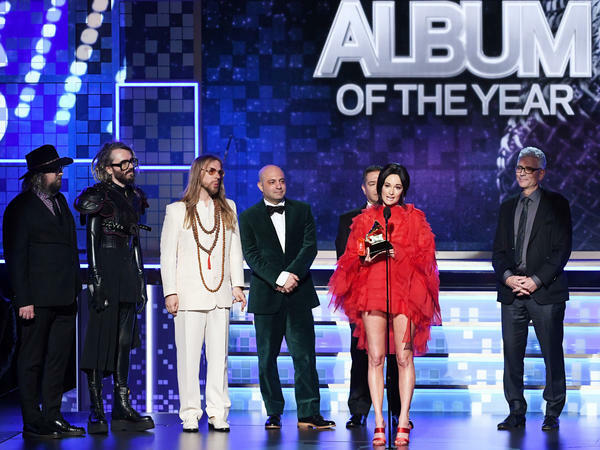 Kacey Musgraves (speaking at microphone) won the Grammy for best album of the year for Golden Hour. On Sunday night, the 61st Grammy Awards telecast did its best to balance several requirements — making amends to an entire gender, widening its palette of winners and honorees, and doing its best to award those who are affecting the mainstream now, not five years ago. Within the narrow lens of prime-time awards shows, it seemed to make some progress on each count, without drifting too far from its comfort zone. Kacey Musgraves won the night's top honor, album of the year — her fourth trophy of the evening — for Golden Hour (which also won country album of year). Childish Gambino won record and song of the year for his epochal "This Is America" (which also won best music video) but did not attend the ceremony. Leading up to Sunday night's show, the Grammys and its parent organization, the Recording Academy, went through a fairly awful year, dealing with the fallout from outgoing president Neil Portnow's tone-deaf comment after last year's show that women in music should "step up" if they want recognition. That blunder, in the midst of the #MeToo movement — coupled with the documented lack of awards and nominations for women and the persistent, well-founded accusations of cultural myopia after years of failing to award some of music's most forward-looking artists (Beyoncé and Kendrick Lamar chief among them in recent years) — set expectations that the 2019 awards would need to do some serious soul-searching. Alicia Keys, the third woman of color to host the ceremony (after Whoopi Goldberg in 1992 and Queen Latifah in 2005), was somehow able, early on, to pull off saying "I have been super blessed to win 15 Grammys" without being alienating in any way. Her charisma and loose confidence were infectious and did a lot of the heavy lifting throughout the show's run time. (She wasn't lying when she said, during her opening speech: "I got you.") And, as if to drive a stake through the heart of this identity crisis, Keys was joined for the tail end of her introductory speech by former first lady Michelle Obama, Lady Gaga, Jennifer Lopez and Jada Pinkett Smith. For this year's awards, the Academy increased the number of nominees in each of the four main categories (song, album and record of the year, plus best new artist) from five to eight. 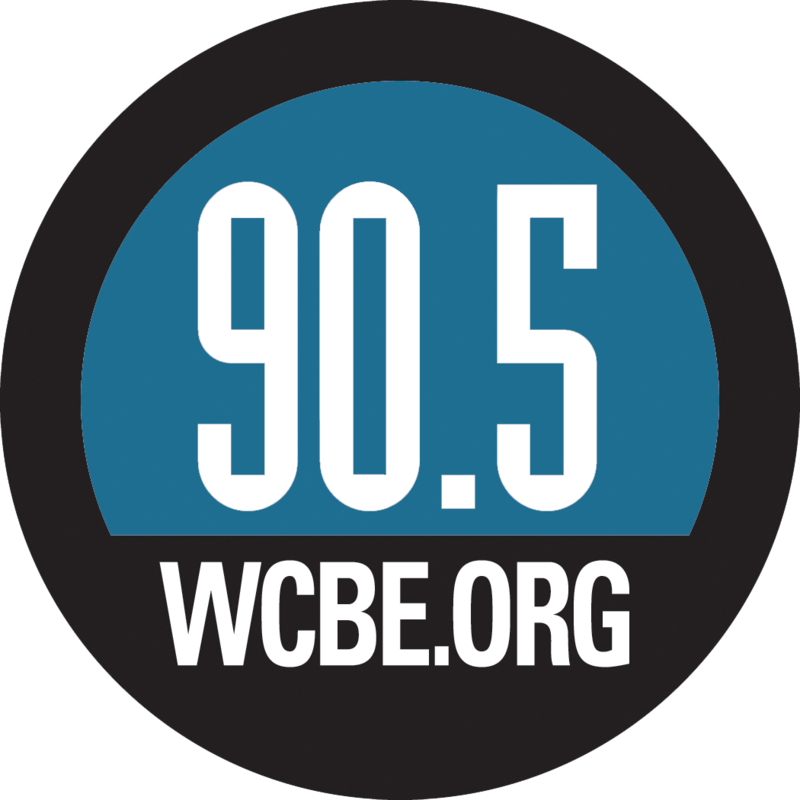 In the best album category, there was some speculation that Brandi Carlile's nomination for By The Way, I Forgive You — Carlile took home three genre trophies as a consolation — might cause a vote split between the two roots-rooted artists. But for the Academy's voters, Musgraves' idiosyncratic work elevated her above some formidable competition, including the Kendrick Lamar-curated Black Panther: The Album, Janelle Monáe's visionary Dirty Computer and Cardi B's breakout Invasion of Privacy. Keys was one of the night's more notable performers too, playing dual pianos while slaying a medley of songs she "wished [she] had written" — including "Killing Me Softly," Nat King Cole's "Unforgettable," a bit of Coldplay's "Clocks" and Lauryn Hill's "Doo Wop (That Thing)," among others — as comfortably as a lounge singer at a regular Thursday evening gig, as the production staff used that time for a stage reset. The show was, as always, very long — nearly four hours. That's in no small part because there were more than a dozen commercial breaks, which were as reflective of the current moment as all that happened during the actual show. We had Childish Gambino as a computer-generated avatar, reprising his "This Is America" dance moves in an advertisement for a new Google thingamabob. Not to be outdone, Ariana Grande stumped during a commercial break for Apple and their animoji thingamajigs. Camila Cabello also appeared in a MasterCard commercial not long after her opening performance. Let's not even get into that ASMR video that Zoë Kravitz did for a light beer, or Will Smith as the Genie in Disney's forthcoming live-action Aladdin. After all, artists have to make money somehow. Neil Portnow, the besieged and outgoing president and CEO of the Recording Academy, was straightforward in his final speech from the Grammys stage: "We must seize this unique moment to bring change within our own unique industry to make sure there is diversity and inclusion in all that we do — and we will." The attempt was palpable — six of the nine awards given during the telecast went to women. But with some of the night's biggest winners and the mainstream's biggest stars not in the building, including Ariana Grande, Childish Gambino, Kendrick Lamar, the Carters and Kanye West, the Recording Academy may have dug itself a deeper hole than it realizes. Many expected that Drake would be among that number, but he showed up to collect his single award, only to take direct aim at the Grammys' relevance. During his acceptance speech, he told young artists, gesturing to his new trophy, "You don't need this right here."